Maycare (Malaysian Healthcare Sdn Bhd 218267-K) is a company that supplies medical equipments and products to hospitals as well as directly to end users. The range covers from speciality beds, mattress, exercise rehabilitation equipment, mobility equipments (wheelchair, walker, walking cane), paediatric (children) mobility to medical disposable items like masks, disinfectants, gloves, etc. 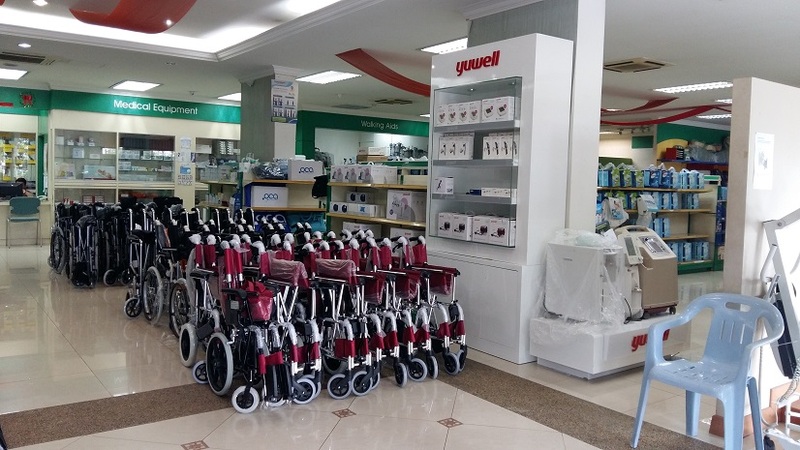 When you need to get mobility and rehabilitation products to aid a loved one, specialised stores like Maycare would provide a larger variety of such items as well as advise on what is more suitable based on the situation as they have staff who are trained physiotherapist on duty at the store. Recently my friend has bought a wheelchair and a commode from the store after obtaining good advise from their staff. I will be writing a detailed article to share on the considerations that you need to do when purchasing mobility items like wheelchair, handrails, walking stick and bathroom items like commode for loved ones who need them. The good thing is that their stores are opened on Sundays where a lot of the medical equipment stores are closed. These items are usually one off items that would be used every day for some period of time- hence I feel it is better to have a look and feel of the items… ie are they sturdy, comfortable and suitable based on the situation of the person requiring it? Therefore, I would want to take a look at the choices available and get the honest recommendation from the sales person. Their administrative/head office is in Kota Kemuning but there is no showroom there. It is to handle administrative matters. Please read more about my personal experience with Maycare.